In this module, we outline the problems with simulations and how simulations and real-time analysis can provide misleading results. We demonstrate a Progressive crowd collapse for a Premier League analysis (UK) and evaluate how these risks can be identified and mitigated at a football match. We show how progressive crowd collapse can occur at a concert and the trigger effect that leads to progressive crowd collapse. We illustrate the difference between the “Hollywood” crowd/model, the computer scientists crowd/model and the risk analysis modelling approach to simulations. 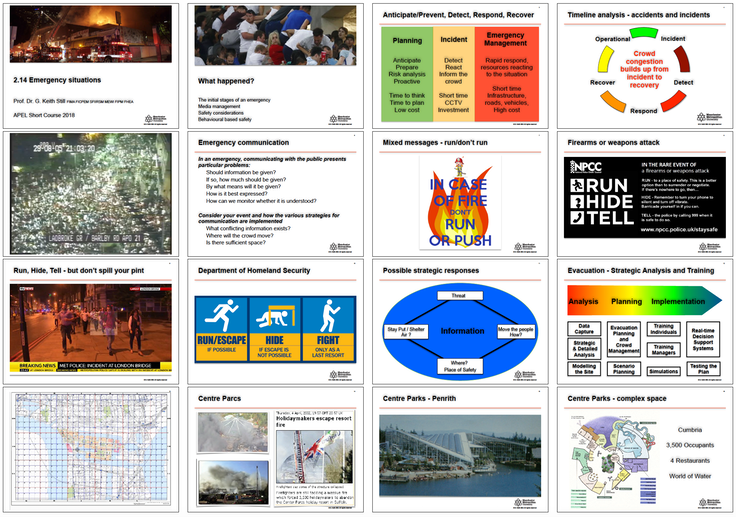 we outline the application of crowd simulations for risk analysis with emphasis on the “good, the bad and the dangerous” use of crowd simulations for major event planning.